This blog relates to Big Al’s (Alan Coultas) original race bike, built in the mid 1960’s. Alan Coultas was a joiner by trade and worked for thirty years at De La Pole Hospital at Willerby, Yorkshire until it closed in 1997. 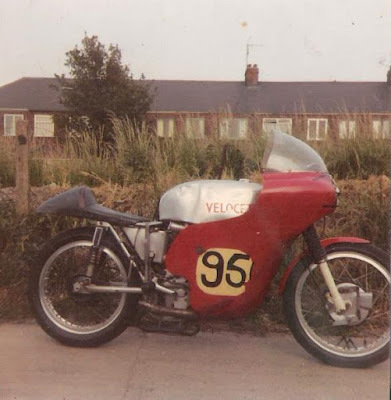 He lived on Kirklands Avenue, Spring Bank West, Hull and it was here that he built some very interesting Velocette based specials. Alan was undoubtedly a skilled craftsman, but also possessed an appreciation and understanding of what was required to make a successful racing motorcycle. In this quest he made life hard for himself, as he never raced or even rode his own machines. He relied instead on the feedback from various riders to develop and improve the bike, all of which was subjective. However, improve the bikes he did and in doing so carved himself a reputation as the ‘Big Man’ in more ways than one. A worthy member of the Yorkshire Velocette Mafia. 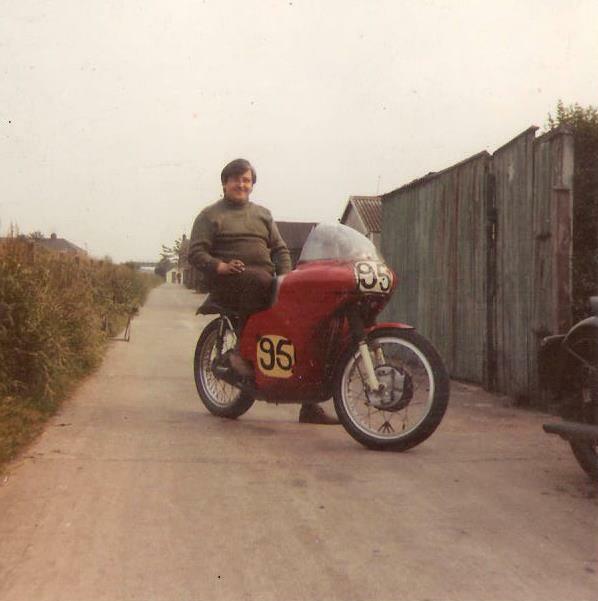 Alan was a motorcyclist at heart, with a great love for the Velocette marque. He used a Velocette Viper Clubman Mk1 as a means of daily transport, a bike that he purchased new and one he considered to be of far better quality than the models that followed. Many years later he purchased a Velocette Venom Thruxton and to quote Alan’s blunt words “tat from toe to tail, a bitsa using any parts they had in stock”. A mildly tuned 500cc Venom engine was fitted, along with a Prefix 12 gearbox. 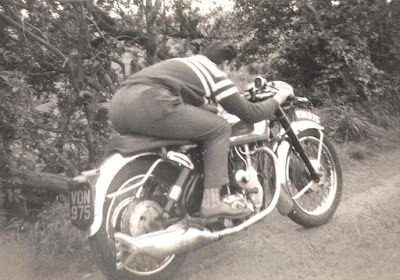 Velocette forks and a twin-leading shoe front brake were also fitted to the machine, but all the other components used were selected with the aim of saving weight. An AJS 7R rear hub and brake was fitted, Jim Lee alloy petrol and oil tanks, Fi-glass racing seat and a Peel Mountain Mile type fairing completed the build. As a 500 the bike was very lightweight indeed, in fact time would to show it was too light. But at the time Alan was very pleased with his efforts and with the step-change in the results he obtained. In truth the frame was far too lightly built to handle the torque of a tuned Venom engine and soon started to show signs of distress. Although the Beasley frames are well gusseted, the thickness of these plates and of the diameter/SWG of the frame tubes, were insufficient for its current use. Cracks started to appear in both the gussets and main tubes of the frame, even the main spine fracturing mid-way along its length. Even allowing for repairs and additional stiffening, it was not long before the frame had reached the end of a serviceable life and as such was retired. 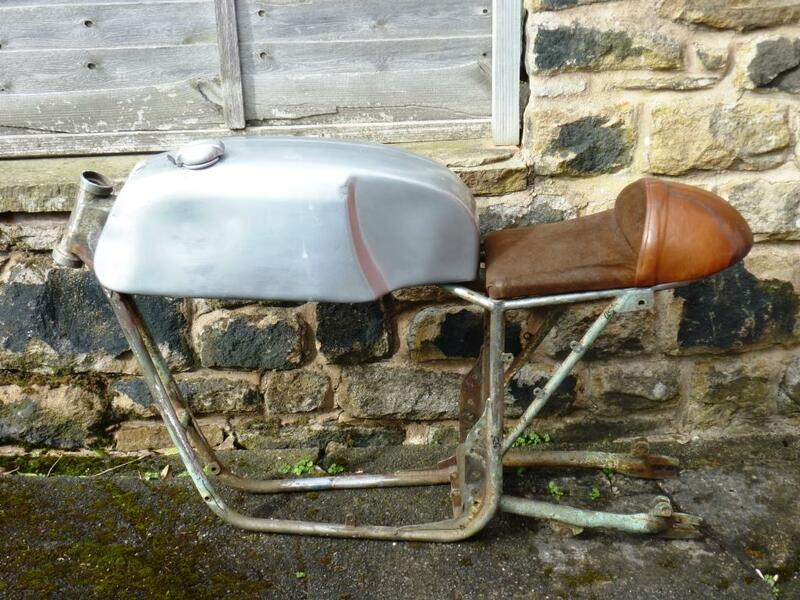 This was not however the end of Alan’s racing exploits, in many ways the experience made him more determined than ever to build a bike ‘fit for purpose’. So what happened to this bike? 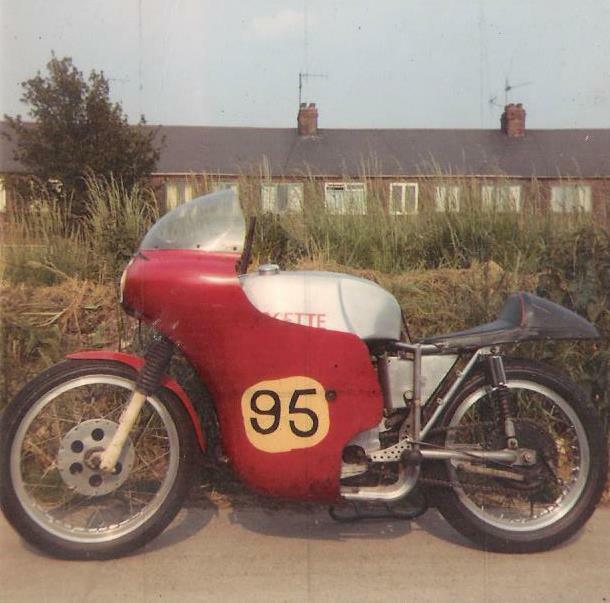 Alan used the now much modified engine in his second ‘Coultas Special’ which he built around a Myers frame. This engine was virtually the only component used from his original bike and the rest of the machine was broken up and the parts used elsewhere. 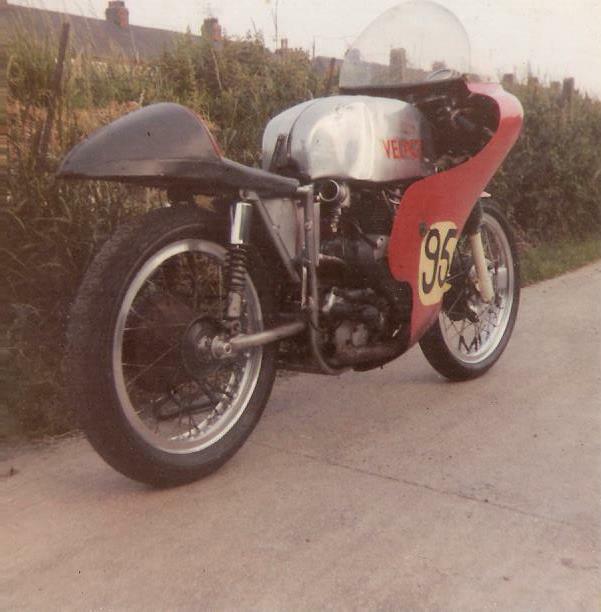 The frame was rescued by Velocette and KTT enthusiast Rob Drury, who being an authority on Beasley frames, knew exactly what he had found. The frame still showed all the damage from when it was used in the ‘Coultas Special’ and is most likely the reason it survived untouched. Rob acknowledged that the frame had no further serviceable life, but used it to produce a frame-jig and 5 copies to the original Doug Beasley design.